With over 75 years of combined experience in nonprofit management and fundraising, our team has been in your shoes. We have been staff, volunteers, and served on over 30 nonprofit boards. We have developed and guided comprehensive and successful organizational development, fundraising programs, and capital campaigns for organizations of all type, size and culture. 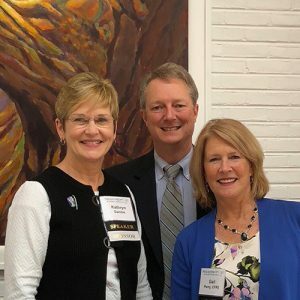 We have worked as development officers, executive directors, presidents of schools and foundations, written grants, developed regional and Fortune 100 corporate partnerships, recruited and coordinated boards and committees of all shapes and sizes – we understand your big picture and day-to-day. We meet you where you are to support your challenges and opportunities. We listen and understand what you need first. Gail Perry, MBA, CFRE, is an international fundraising consultant, keynote speaker, trainer and philanthropy leader. Her Fired-Up Fundraising approach, developed over the past 30 years as a nonprofit philanthropy expert, has helped organizations raise hundreds of millions in gifts. Kathryn Gamble brings over twenty-five years of high level capital campaign and major gift experience to the team. She’s known for her analytical, strategic, practical and technical expertise in dealing with all aspects of philanthropic management. 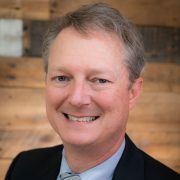 Adam Hartzell brings a unique perspective to the team having served in executive leadership roles in non-profit organizations, state government, for-profit companies and even political campaigns and media organizations. He has led successful capital campaigns, doubled operating budgets, successfully guided organizations through transformational change, and led visionary innovations in service delivery. He is our resident expert in strategic planning, innovation and marketing planning. Adam began his non-profit career as Executive Director at InterAct, a family services agency in the Triangle. He also served in lead roles at the NC Department of Justice, the University of North Carolina’s Center for International Understanding, Advance Community Health and at United Healthcare. He is committed to mission-driven work, giving voice to the underserved, building collaborative teams, and honing compelling and empowering messages. Under his leadership InterAct expanded support from a few hundred donors to over 22,000, and received multiple awards for excellence and growth. Among his proudest fundraising accomplishments have been completing multiple capital campaigns raising upwards of $10 million, securing major grants from national foundations and federal sources. Adam is an accomplished speaker, having facilitated dozens of board and staff trainings and delivering hundreds of speaking engagements and media appearances. Adam received his JD from Campbell University. Prior to law school, Adam was a journalist in New York City. Today, he lives in Wake County with his wife Melissa and two boys with whom he enjoys soccer, camping, canoeing, theater and going to the beach. Lyn is a non-profit professional with 15 years of experience in fundraising, event planning and communications. 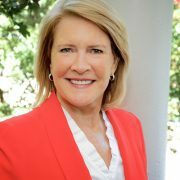 She has worked in government, education, the non-profit sector, and for a major trade association in Washington, D.C. For seven years, she was director of the annual fund at Saint Mary’s School where she consistently exceeded fundraising goals and achieved high levels of participation, raising over $1 million in unrestricted gifts. 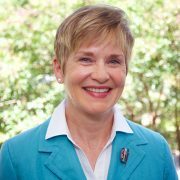 She is active in the philanthropic and charitable community and has served on the board of several organizations including SAFEchild, the North Carolina Museum of History Associates, William Peace University Board of Visitors, and the Board of Visitors at UNC-CH. She is a current member of the board at the Foundation of Hope and Urban Ministries of Wake County. She is also on the committee to help plan the 50th anniversary of the American Studies program at UNC-CH in the spring of 2019. Lyn is known for per positive energy, enthusiasm, can-do attitude, attention to detail, and ability to motivate a team. She enjoys the process of helping organizations plan, strategize and achieve realistic goals, while building a strong base of support for an annual fund campaign. She believes that the annual fund is the cornerstone of all fundraising, and that the success of a major gifts campaign is derived in large part from the annual fund. She enjoys the process of “creative brainstorming” and building relationships with volunteers and donors to put the “fun” into fundraising. She is a graduate of William Peace University and UNC-CH.